At Lawrences’ recent auction in Crewkerne, a plastic elephant from a local garden shed attracted more bids than almost any other lot. 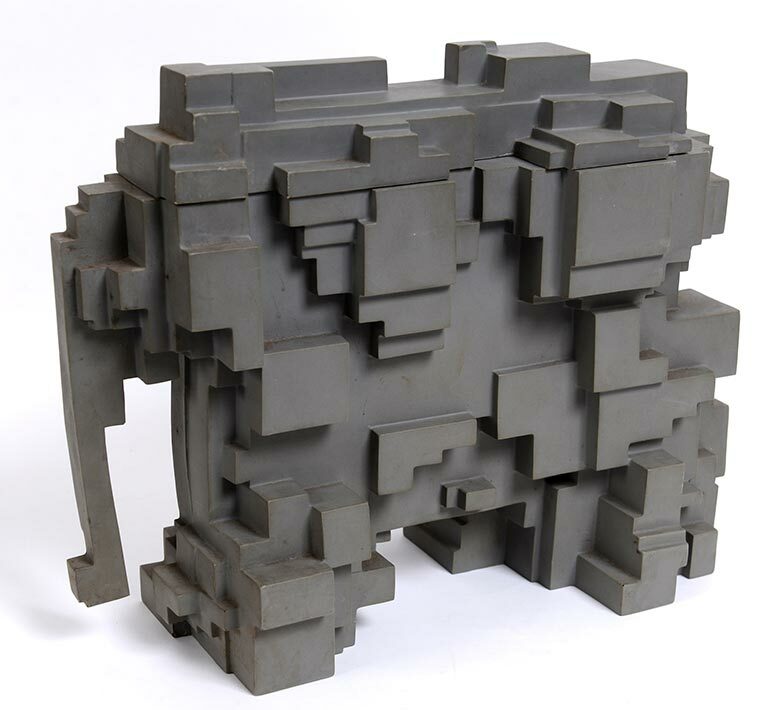 The 32cm (13-inch) high moulded grey plastic elephant was designed by Sir Eduardo Paolozzi in 1973 and was used for marketing a Scottish flooring company. Three thousand were made and number 420 was held by a flooring salesman. He had kept it in his shed for 43 years. “To many, its design exemplifies the best and most irreverent Pop Art styles of the era,” said Lawrences’ specialist Richard Kay. It was estimated at £500-800 and plodded purposefully to just over £900, making a mammoth amount of money for its owner.